Prom is one of the biggest events of the year here at Cartersville. Normally, prom falls on a Saturday in March, but people start preparing weeks, even months beforehand, buying dresses or tuxedos and scheduling hair and makeup appointments. Mrs. Walker and Mrs. Hawn take on prom every year. While they technically select the theme, they do ask around for ideas each year. Last year, the theme was St. Patrick’s Day, since the event fell on the holiday. This year, the theme was “Alice in Wonderland.” Next year, look out for a Roaring 20’s theme! The date is normally set one year in advance and planning starts once the current prom concludes.The morning of the big dance, Hawn and Walker meet with the contracted event company to discuss the theme for the next year. Designing tickets occurs after Christmas break. Junior class officers at CHS come in and discuss what they want tickets and t shirts to look like. Invitations are usually set to go out February 1st, and Mrs. Carp begins selling tickets around that time, as well. Since prom is solely funded on ticket sales, things like t-shirts and take-home goodies are put on hold until enough tickets are sold to fund the extras. During the month leading up to prom, Mrs. Hawn finalizes things, such as the catering menu, communicating with the DJ, and ordering crowns and sashes for Mr and Mrs CHS. Usually parents of junior students get together and help decorate the lobby, as the event company does not do this. This year, senior Chloe Williams almost single-handedly pulled off all the decor. The day before prom, large decorations are taken into the venue (the Clarence Brown Conference Center), and final last-minute purchases are made. Hawn and Walker also spend time making sure they have all non-CHS students ID’s and forms. If your date is not a Cartersville student they must have a form signed. They must also sign in when they arrive at the dance. When prom day finally arrives, the committee meets at the venue at 9 AM. Final decorations are put up and the DJ comes in to setup and do sound checks. Mrs. Walker and Mrs. Hawn return to the venue around 6 PM to meet with the photobooth company and setup senior walk. Senior walk is before the dance, when seniors are escorted by their prom date. Senior superlatives enter last. After the walk, Mr and Mrs CHS are announced. Congratulations to Isaiah Chaney and Amya Davis who were this years crowned winners! A lot of time and hard work is put into prom and the final product is truly magical! 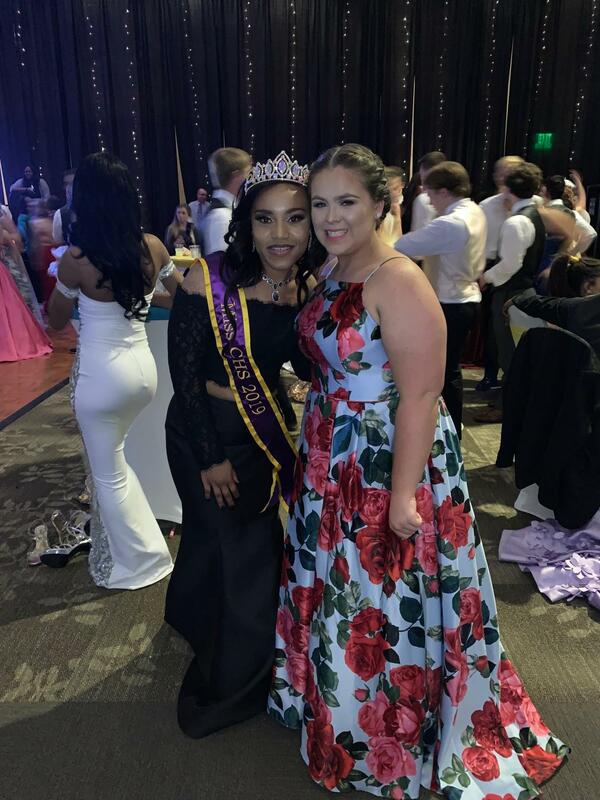 Cartersville High School’s prom is a success every year thanks to Mrs. Walker and Mrs. Hawn, along with many other class officers and parents who contribute to the event. As always Presly very goid article.